Ethnographic Encounters is a student-run undergraduate e-journal. It's primary purpose is to publish outstanding ethnographic projects completed by students in their second year of social anthropology at the University of St Andrews. 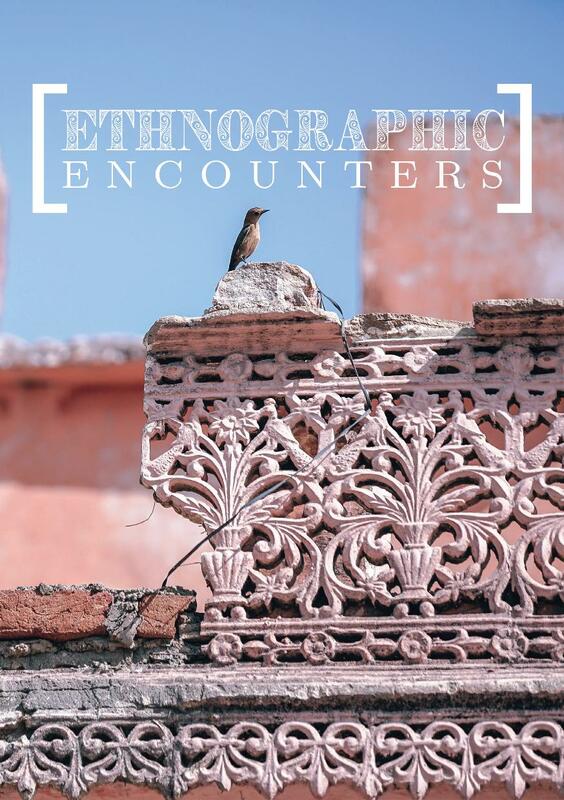 We are proud to announce the release of our 2018 volume of Ethnographic Encounters! It features twelve ethnographic research essays of a variety of fascinating topics from last year's second year students. Thank you and congratulations to all of our contributors! We are pleased to announce our 2018-2018 Editorial Team! Last year's editors Rikke Møller Nedergaard and Luke McGinty will be taking over as co-Editors-in-Chief. The Editorial Team consists of Katherine Moulton as Director of Printing and Editor, Lucy Sprague as Events Manager and Printing Associate & Editor, Emily Lomax as Events Manager and Editor, Louisa McCullough as Creative Manager and Editor, Verity Mckeown as Creative Manager and Editor, and Christina Hähnel Abou Chalache as Social Media Manager and Editor. Everyone is anxious to work in their roles for what will surely be an exciting year for the magazine. Announcing the release of our latest Ethnographic Encounters Mini-Issue: Dissertation Pieces, featuring extracts from our 4th year students' dissertation projects! Please find the new issue below and our previous issues under the 'Archive' tab above. We are very pleased with the outcome of this publication and send many thanks to all the contributors! Please find the current issue below and the past issues in "Archives" above. Potential contributors are warmly invited to contact us at encounters@st-andrews.ac.uk.